Most credit counselors advise that when you are trying to get out of debt you should start with the smallest bill and work on paying that off first. Then use the freed up money from that one to work on the next largest bill. When we examine wealth standings for various ethnic groups in the US we find that African Americans are near the bottom of the wealth chart. Wealth is simply defined as your assets (house, car, cash, savings, stocks and bonds, furniture, etc.) minus your liabilities (mortgage, car note, credit cards, etc.). The Great Recession cut our already small Net Worth pretty much in half leaving us with a $5,677 in 2009 versus $113,149 for White households. 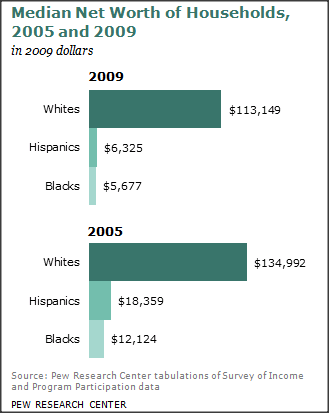 When we take a closer look within the Black community a study from 2010 brings us the startling result, "Women of all races bring home less income and own fewer assets, on average, than men of the same race, but for single black women the disparities are so overwhelmingly great that even in their prime working years their median wealth amounts to only $5.". It's rather shocking," said Meizhu Lui, director of the Closing the Gap Initiative based in Oakland, Calif., who contributed to the report "Lifting as We Climb: Women of Color, Wealth and America's Future." 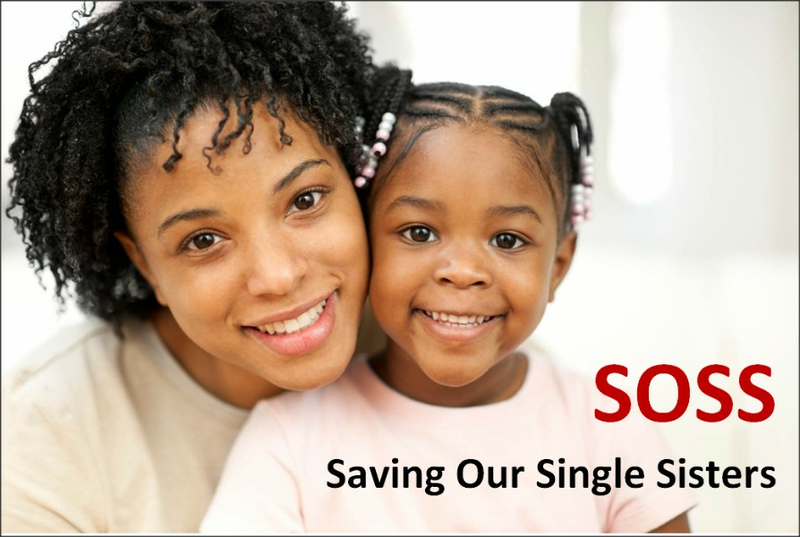 There are approximately 9.8 million Black families in the US but 6.1 million of them are now headed by Single Black females and 47% of those Single Mom households with children will be in poverty. 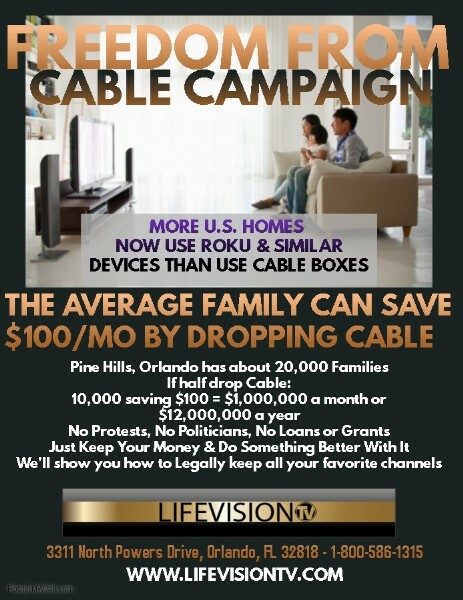 So to say that a large percentage of our community is having a tough time making ends meet is an understatement! There are many reasons for this group being in trouble, not the least of them being the absent and non-supportive fathers, but in a sense it is our smallest bill to attack. Maybe Baby's Daddy is not responsible but what about the Moms father, or brother, or uncle or grandfather. If every responsible Black man will look over their family and identify the Single Moms that are our daughters, our sisters, our nieces, the young Mom on our block and the young lady that sits on the pew behind us in church. Let's make sure there is an Emergency Fund with $100 or $200 in it that can't be accessed without our signature if necessary so that there are some funds available to keep the lights on or food on the table. This is a real problem for us because if we look at Liquid Wealth (how much cash can you put your hands on in an emergency) we find that the average White family has access to about $23,000 and the average Black household has about $200 available. So if we bring the Single Moms Emergency Funds up to the meager standard of the rest of Black America we will have raised our collective wealth over 1 Billion dollars! 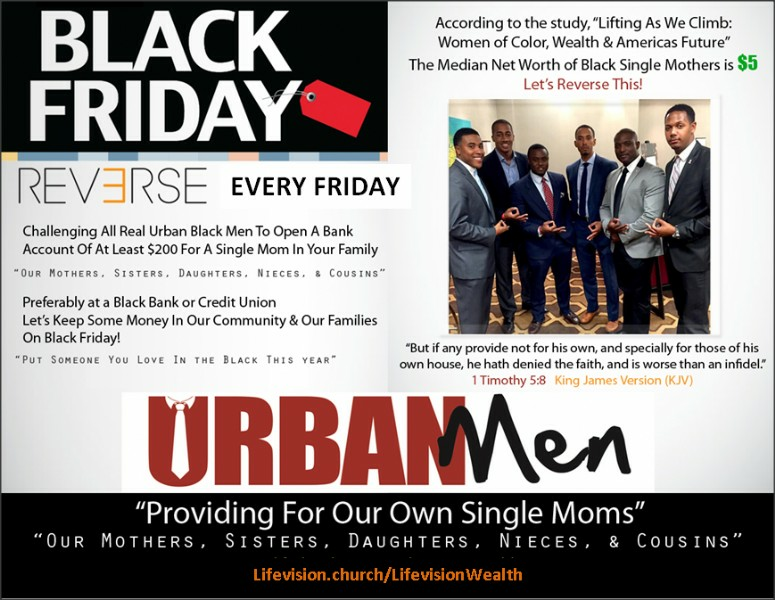 So our greatest mission field is to reach Single Black Moms to engineer a turnaround for the wealth of the Black community. We will get the biggest bang for the buck and have the greatest impact on the next generation.